Ahead of the iPhones of 2018, Apple has announced the Apple Watch Series 4. 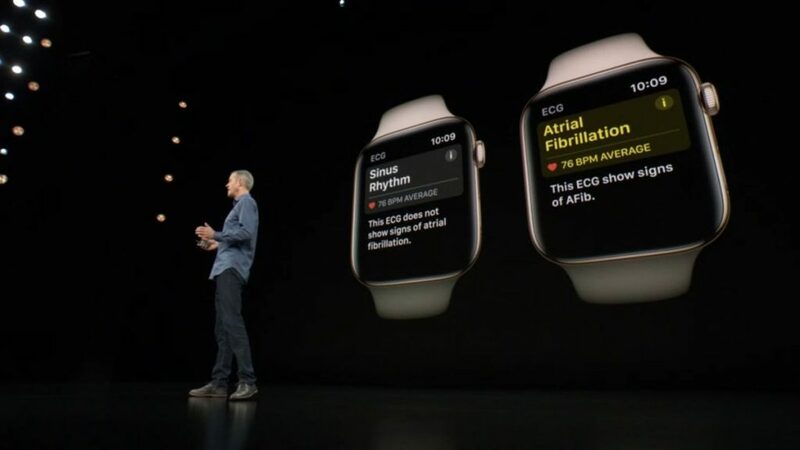 Aside from the usual features you’d expect, like health tracking, and better specs than before, Apple seems to be selling another key feature, which is an ECG machine on your wrist. Before that, let’s just quickly go over some of the improvements it has over the Series 3. The processor in the new Apple Watch is what Apple is calling the S4, which is fitting to say the least. Apple also claims that it’s two times faster than the previous generation. And that it has a next-generation accelerometer that samples data eight times faster than its predecessor. 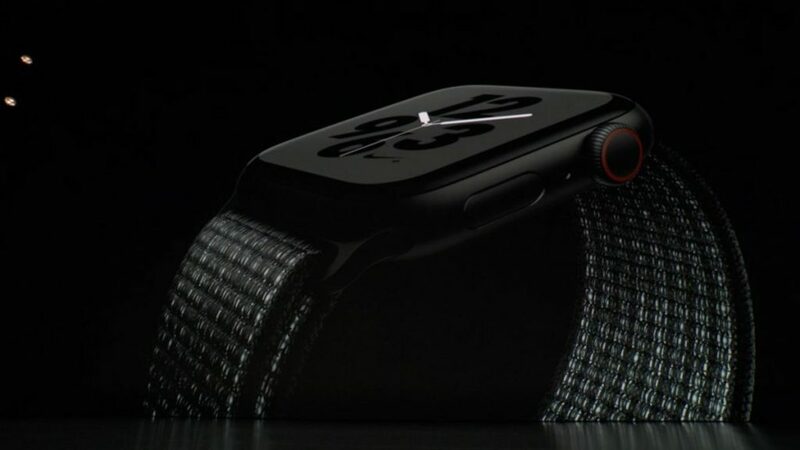 The speakers on the new Apple Watch are also 50% louder, and the back panel is now black ceramic so that radio waves can pass through from both the front and back. The digital crown also now comes with haptic feedback. Additionally, display sizes are up to 35% larger, with the new faces measuring in at 40mm and 44mm. A new feature in the Series 4 is fall detection. Accelerometer and gyroscope wizardry detects when you trip or fall, and if you’re not moving for the next minute, it will think you’re unconscious. From then on, it calls emergency services for help, complete with your location sent. 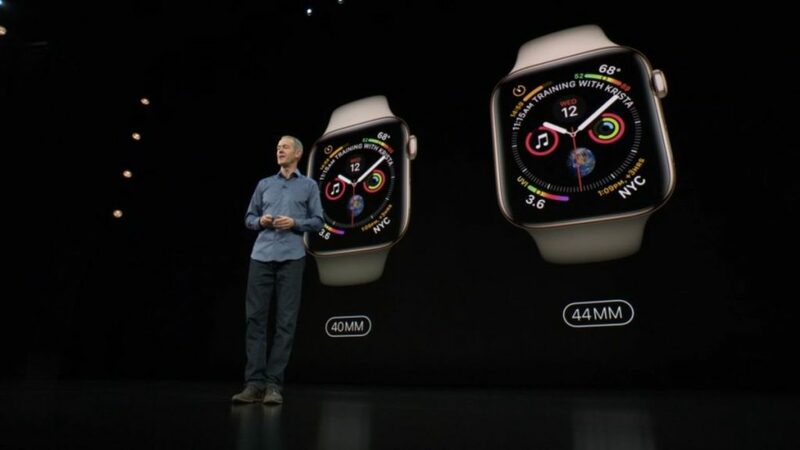 Finally, Apple has added more sensors to the Series 4 Watch so that it essentially becomes an ECG machine on your wrist. With the new sensors also comes the ability to tell if you’re suffering from heart condition known as atrial fibrillation. Apple states that these sensors are FDA approved, but there’s no mention if it’s a feature that will make it to every other market. We’re assuming that it’s one that needs local medical certifications the way Apple touted the FDA certification. Of course, Apple isn’t going to just announce the Watch Series 4 with a single look. There are three aluminium finishes – silver, gold and space grey. If aluminium is not your thing, then there’s the stainless steel series, that come with their own matching Milanese band. All bands are also compatible with any Apple Watch. So if you liked an old band and want them on the Watch Series 4, then the option is there. And then there’s the price. 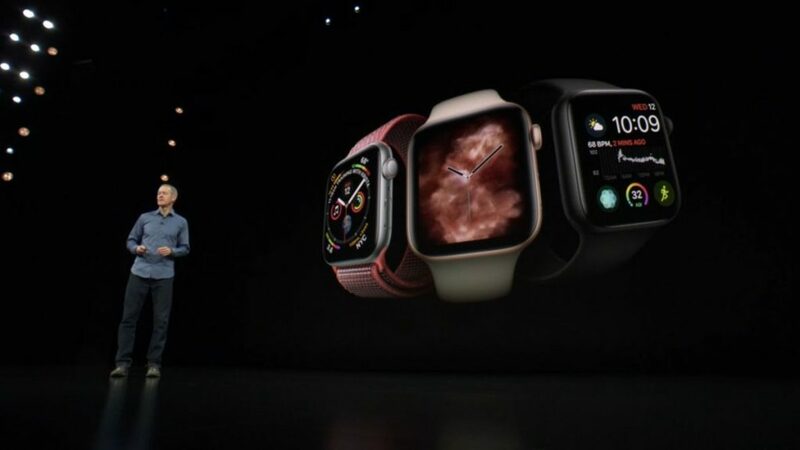 The Apple Watch Series 4 is priced at US$399 (~RM1652) for GPS-only models, and US$499 (~RM2066) for cellular models. For countries listed in the first release phase, pre-orders will open this Friday, 14 September 2018, and availability begins a week later, on 21 September 2018. All that said, Malaysia isn’t in the list, even if our neighbour Singapore is. 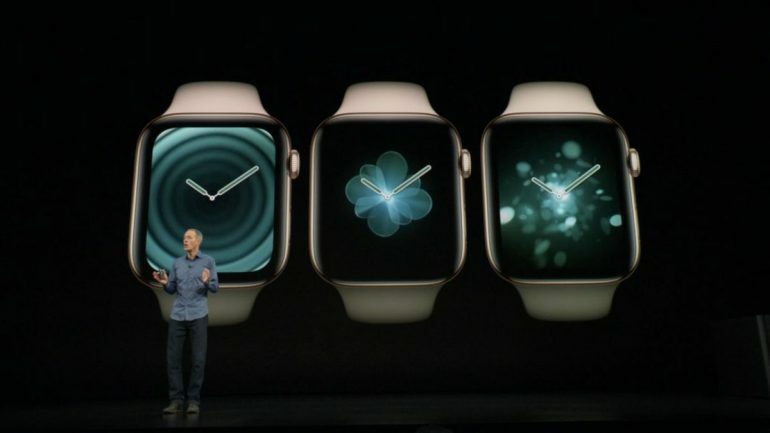 Also, with the announcement of Series 4, the Apple Watch Series 3 saw its price brought down to US$279 (~RM1155). The local Apple Store webpage for the Watch is being updated at the time of writing, so we don’t know what the local price is exactly just yet.